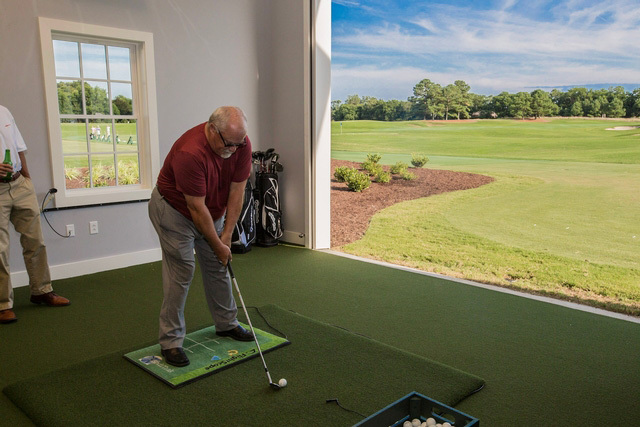 Our fearless leaders and golf lovers, Steve and Barb Merritt, were excited to attend Bayville Golf Club’s Grand Opening of the club’s new Performance Center on July 25th. Virginia Beach’s Mayor, Will Sessoms, made an appearance and Steve even got a few practice swings in! Bayville Golf Club is recognized as one of the premiere golf experiences in the region. Stephen Merritt showcases his swing at the new Performance Center.